Our coaches bring a wide range of experience and knowledge to help you meet your fitness goals. I’ve been a personal trainer since 1999. When I started my training at 24 Hour Fitness in 1999 in my hometown of Billings Montana I instantly fell in love with it. In 2000 I moved to Santa Clarita and continued with personal training. Almost ten years ago I found kettlebells and shortly thereafter CrossFit. For the next few years I had been going back and forth from kettlebells to CF as I was training for the RKC (Russain Kettlebell Challenge). After completing my first RKC I started doing small group training. I’ve since also become a Level II RKC. I continued to train my groups on kettlebells up until 2010 when I felt my clients would benefit from more than just kettlebells and I decided to get certified as a CrossFit coach. What’s Kalos Sthenos? It’s Greek for beautiful strength/movement. It’s also the origin of the word calisthenics. The foundation to my training with all my clients for the past nine years has been the Kalos Sthenos Turkish Get Up that I learned through the RKC system. At CrossFit Kalos Sthenos it is my goal for my people to first and foremost OWN the Turkish Get Up. Why? I’ve seen first hand in the past nine years with hundreds of people the benefits of this ancient movement/exercise. Also I want all the CrossFit movements/exercises to be Kalos Sthenos, BEAUTIFUL MOVEMENT, BEAUTIFUL STRENGTH! I am proud to be one of the founding members of CrossFit Kalos Stenos. I received my CrossFit Level 1 certification in Aug of 2012, CrossFit Kids certification in March 2013, CrossFit Mobility certification in 2014 & attended the Outlaw Barbell Camp in Nov. 2014. My specialty is kettlebells, but I am also well versed in all other area of CrossFit. I am the Event Coordinator for CrossFit Kalos Sthenos. Camaraderie is an important part of what makes us different from other boxes. We enjoy doing things together with our families outside of our normal classes. I also facilitate all of our nutritional challenges. Making healthy lifestyle changes can be difficult. Having the support of your box mates, as well as a coach can be the difference between success & failure. When we are all working towards a common goal, it makes it that much easier to attain. I have a Master’s degree in Environmental Biology, am happily married & am the proud mother of two teenage daughters (who also love CrossFit). I am actively involved in the Santa Clarita community, holding parent volunteer positions at both the High school & Jr. High level, as well as serving on the SCV Council PTA . I did not grow up as an athlete, but embraced fitness once my kids were older. I love motivating people & helping them to realize that no matter what your background is, it’s never too late to take control of your heath & be the best you can be! 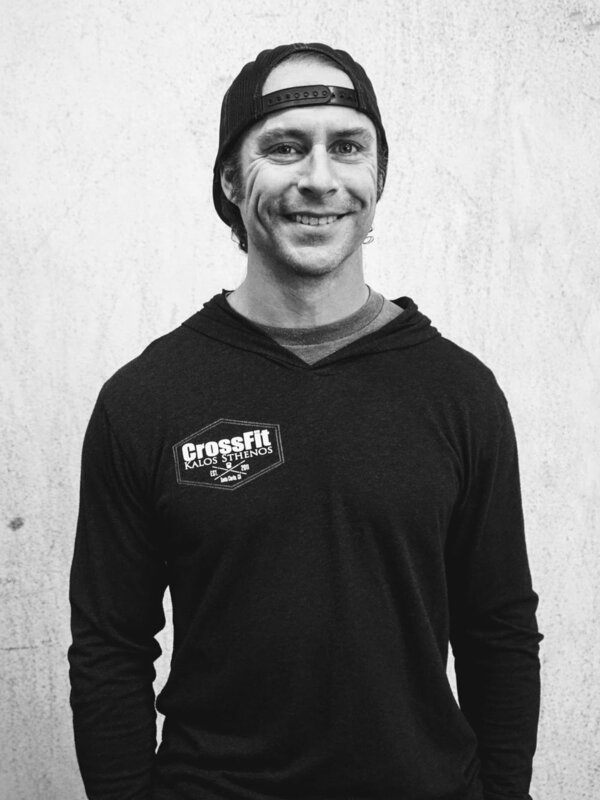 I started my CrossFit journey in 2014 as an athlete, but later, at the recommendation of John, got my Level 1 coaching certification in 2016. Having been a member first has given me the ability to connect with athletes on a personal level and gain the insight of how they like to be trained and encouraged. I’m the social media coordinator for the box, so I do my best to record you at your sweatiest and most unflattering moments and post pictures to the CFKS Instagram for all to see the hard work being put in! I have coached many challenge classes to first time CrossFitters, so teaching the basics of lifting and safe form is one of my strengths. 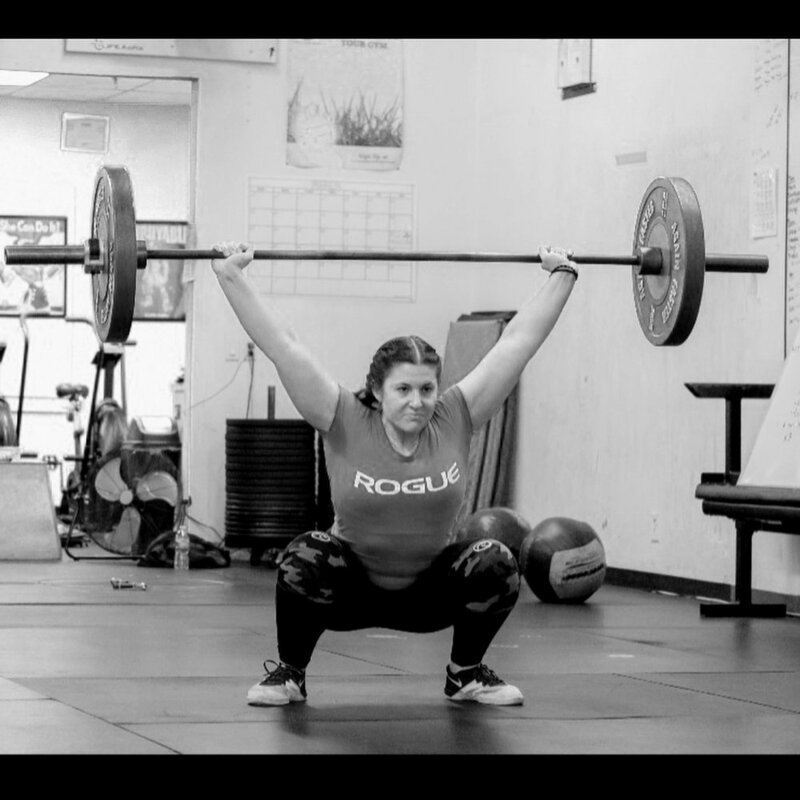 My favorite area of CrossFit, however, is Olympic lifting. I believe accountability plays a big role in your success as a CrossFit athlete, so don’t be surprised when you get a text or nudge on Facebook reminding you to come to the gym. And don’t be surprised when you make new friends who do the same! I have always had a passion for physical fitness, I played soccer from the age of 4 until I was 17. I fell out of it for a while until I was introduced to CrossFit. I not only gained knowledge and a love for this lifestyle, but I have also gained close friends. The camaraderie at our box is like no other. We are a small close-knit group and try to encourage our members to join events together in and outside of the box. Find your niche at our facility and stick with it. Results appear faster than you think when you find your skills and train to improve them.